The Advanced Acne Institute was founded by Arthur S. Colsky, M.D., Ph.D. who is also the Medical Director. Dr. Colsky opened the Advanced Acne Institute to focus on healing all forms of acne, including providing advanced treatment for teenage acne. 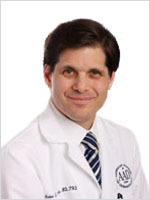 Dr. Colsky is a graduate of Vanderbilt University where he majored in Molecular Biology. He went on to complete his M.D. and Ph.D. degrees at the University of Miami Miller School of Medicine where he also completed his residency in dermatology. Dr. Colsky’s passion for helping teenagers and adults overcome the significant impact of acne in their lives led to the development of the Advanced Acne Institute where he continually explores better options in acne treatment.